Some 80 percent of NAIFA members have lost clients who moved to states in which they were not licensed, according to NAIFA. A glimmer of good news for insurance agents fighting to sell products in an era of ultra-low interest rates: Legislation allowing them to better serve their existing customer base in an increasingly mobile society is likely to be enacted in this Congress. 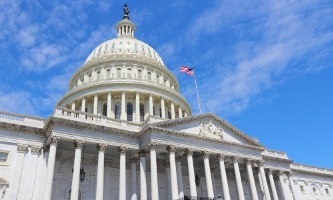 The legislation would establish the National Association of Registered Agents and Brokers (NARAB), a clearinghouse aimed at streamlining agent licensing. According to officials at the National Association of Insurance and Financial Advisors (NAIFA), an insurance agent who has clients in more than one state has to obtain licenses in each of those states, and the regulatory process varies from state-to-state. Under NARAB, an agent would be able to hold a home state license and then is eligible to apply for NARAB membership that satisfies the NARAB membership requirements. A NARAB member would then be entitled to get a corresponding license in any non-home state provided that they pay the requisite non-home state licensure fee through NARAB. Under the current system, a consumer who moves to a different state and wants to maintain an existing relationship with his or her insurance advisor “is most likely out of luck,” according to NAIFA. NAIFA officials say their members tell them that they can’t do business with the client unless the agent obtains a license (often only with great effort and expense) in the client’s new state. “Some 80 percent of NAIFA members have lost clients who moved to states in which they were not licensed; 12 percent report that they have lost more than 50 clients this way,” NAIFA officials say. It is not only life insurance agents who are affected; property and casualty agents are affected as well. And, as “Obamacare” takes hold, it is likely that creation of regional marketplaces for selling health insurance will soon be allowed. It has bipartisan support. The Senate took up the bill in mid-July and the House is aiming to finish work on its version of the legislation by the end of July. The industry has been seeking enactment of this legislation for more than 20 years, and knowledgeable industry lobbyists fear that this will be their last chance to get it enacted. Industry lobbyists caution, however, that passage of the legislation is unlikely to occur before the fall, or perhaps not until December. While the House bill has strong bipartisan support and is attached to the must-do legislation reauthorizing a federal backup for terrorism risk insurance, a wrench has been thrown into the process in the Senate by Sen. Tom Coburn, R-Okla. In a compromise to a provision he sought that would allow states to opt-out, Coburn agreed to inclusion of a provision in the Senate that would require another vote several years down the road to sustain NARAB. But industry officials were able to get language in the provision that ensures that the clock on the sunset won’t start ticking until the first license is issued, and, it will probably take two years to get the program up and running. John Nichols, NAIFA president, said NAIFA prefers the House language, “which makes NARAB permanent.” Other industry officials said they, too, will push for the House version of the bill during negotiations to reconcile the Senate/House bills. NAIFA officials — as well as officials of the Council of Insurance Agents and Brokers (CIAB) and the Independent Insurance Agents and Brokers of America (IIABA), note that NARAB, by simplifying the licensing procedure for agents doing business in multiple states, would save agents’ time. It would also standardize CE requirements for all the states other than an agent’s home state. It is very time-consuming to watch sausage being made. But, let us be optimistic that Congress will ultimately act this year. Is the insurance industry using TRIA to pursue agendas?